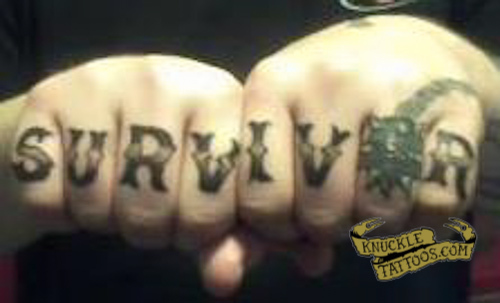 I am a survivor of testicular cancer so I got “SURVIVOR” across my knuckles. 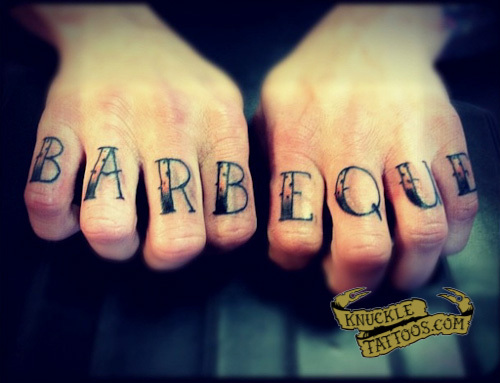 I already had a mace and chain on my left ring finger and used that as the “O”. 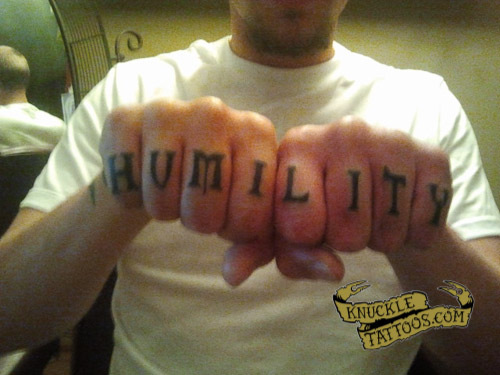 Just got these done, 8 across “HUMILITY” I got this to remind me to stay humble, its a key trait in recovery. 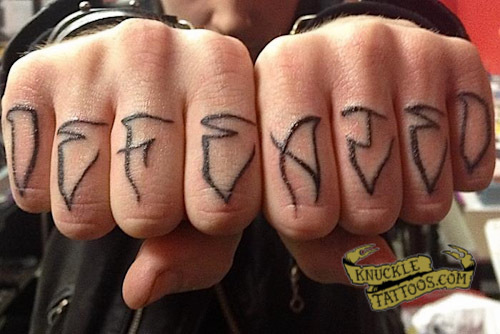 I got it in an old Celtic font because every one else has the same style font. My name’s Alexandre Hu, I’m 20 years old and from New York City. 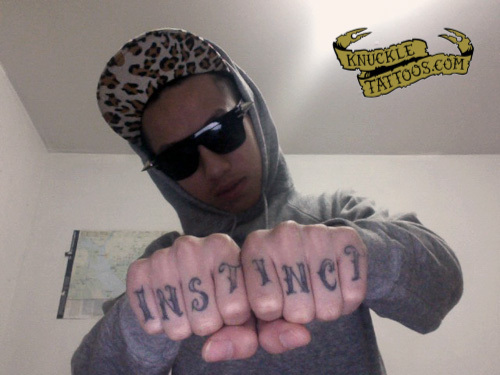 The reason why I got “INSTINCT” tattooed on my knuckle is because InstinctNYC.COM is my clothing company and I’m dedicating and giving it my all 100% to make sure my dreams come true as a designer. 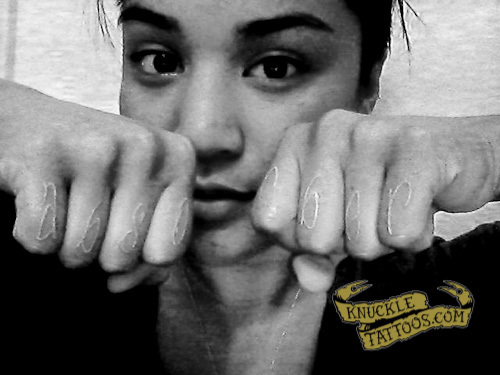 My clothing brand is a part of me and a lifestyle for me everyday. White ink – hence the b&w. ‘absorber’. In the last 3 years the 3 most important people in my life told me that I was born broken and with holes in me that I couldn’t fix. Also in the last 3 years, I have gotten out of a rocky relationship, got disowned by a good portion of my life & have learned how to support myself & stay healthy and responsible. This is a reminder to myself that I will find what I’m looking for & that I only need myself (and the big guy). Hi there, I’m Purple from Tulsa, Oklahoma and this is my 9th tattoo. 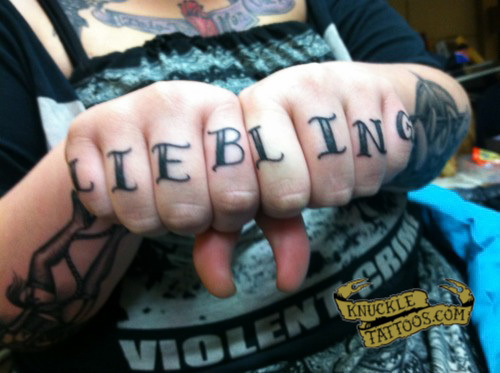 It says ‘LIEBLING’ which is an older German word for ‘DARLING’. I chose it because of my love for the German language and also because it’s a word that isn’t really used very often anymore. It reminds me that although I would love to be someone’s ‘darling’ love is overrated and it can become as obsolete as the word liebling itsself.